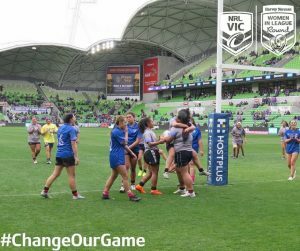 The 2019 NRL Victoria Female State Representative Trials will be held on Saturday 22nd September, 2018 at Bruce Comben Reserve, Altona Meadows (Altona Roosters Home Ground). All players are required to bring their own playing shorts, socks and boots. Jerseys will be provided. Players who need strapping are required to supply their own tape. The U19's Women's Development Squad (Tasha Gale Tour) will tour Sydney for 8 days in January with the approximate levy cost to be $1500-$2000 per player which will be confirmed once tour details are finalised. 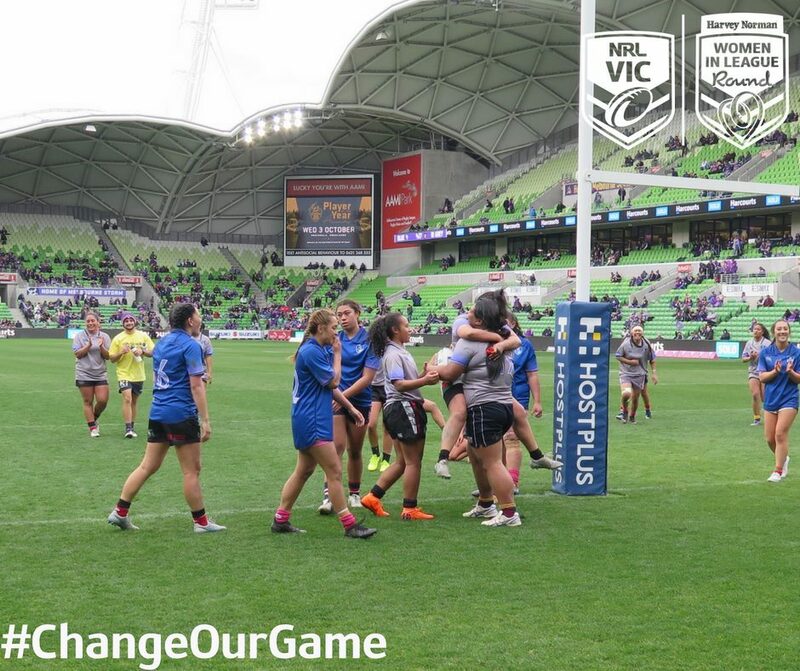 The Women's/U16's Girls teams will compete at the CAS Women's/Girls Championships in April. The levy cost to play in these teams will not be finalised until the venue and dates are locked in. Approximate costs will be between $700-$1400 per player depending on the location. *Please note - players who are 17 by 19th April, 18 or 19 in 2019 can indicate below that they wish to trial for both U19's and Women's. All players must submit a registration form by 5pm on Wednesday 19th September. No nominations will be accepted on the day. 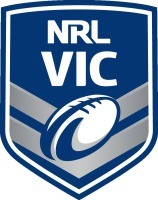 Any player who is currently injured or is unable to make the trial but still wants to be considered for selection must email Ryan Walker, NRL Victoria Pathways & Coaching Manager - rwalker@nrl.com.au by Wednesday 19th September at 5:00pm.